Are you desperate for a Dark Dimensions: Homecoming Walkthrough? Is the truth of what happened at Barton Mansion in this latest Dark Dimensions game just too much for you to handle on your own? Relax my friend, we've got you covered. We just put the finishing touches on a comprehensive Dark Dimensions Walkthrough and it's now live and waiting for you to jump in! This guide includes six chapters that are prepared to walk your through each moment of this chilling hidden object game. You'll have all the answers you'll need as you face challenges such as the ice cream truck puzzle on the boardwalk or the lock puzzle on the mansion gate just outside the grounds of Baron Mansion. Together with our step-by-step instructions, custom marked screenshots, and detailed puzzle solutions you'll have no problem checking this game off your list of games to beat! Is this your first venture into the Dark Dimensions world? Here's a brief glimpse of that this latest game has in store for you! 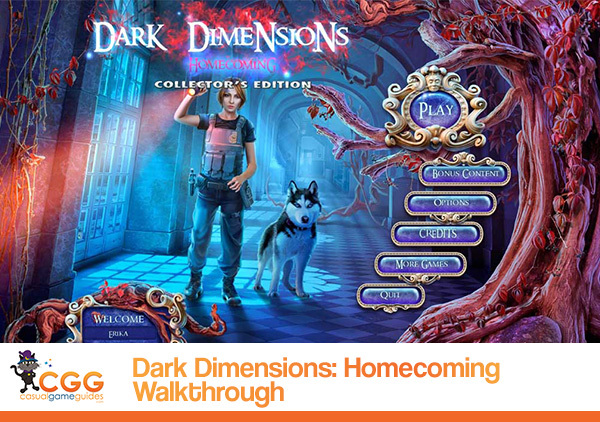 We hope you enjoy our Dark Dimensions: Homecoming Walkthrough!